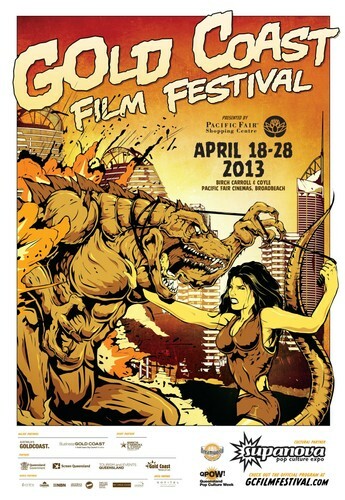 The Gold Coast Film Festival (GCFF) presented by Pacific Fair Shopping Centre, will be held from April 18 - April 28 2013 at Birch Carroll & Coyle Cinemas at Pacific Fair in Broadbeach. Gold Coast City Council is the major Government sponsor of the event which benefits from funding received from Gold Coast City Council; Screen Queensland Screen Culture Funding; and Events Queensland Regional Development Program. The Gold Coast Film Festival is Australia’s preeminent pop culture film festival and offers pop and screen culture events including feature films, red carpet premieres, seminars, free family movies, Q&A sessions, after parties, film making master classes, pitching competitions and an exclusive Heroes and Villains sculpture display plus SUPERstars appearing throughout the festival.